If you have Photos from either Friday nights Tailgate Party and Homecoming Game or from Saturday's Reunion, please go to the top navigation bar "4th Photo Gallery" and ADD your pictures! 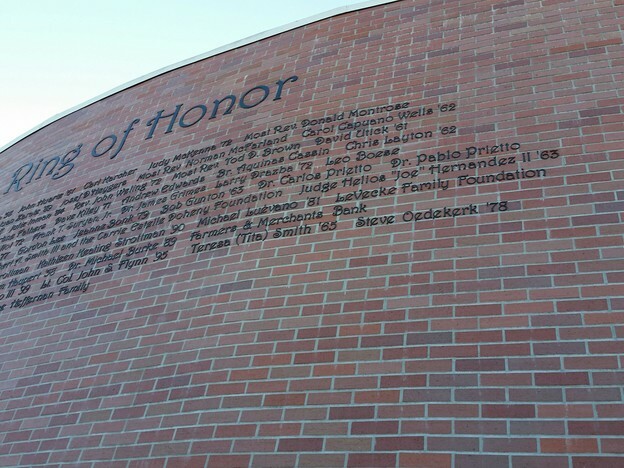 Also, we would all love to see current pictures of each classmate as well as your families . . . go to the same 40th Photo Gallery and add those photos to the Current Photo Album. 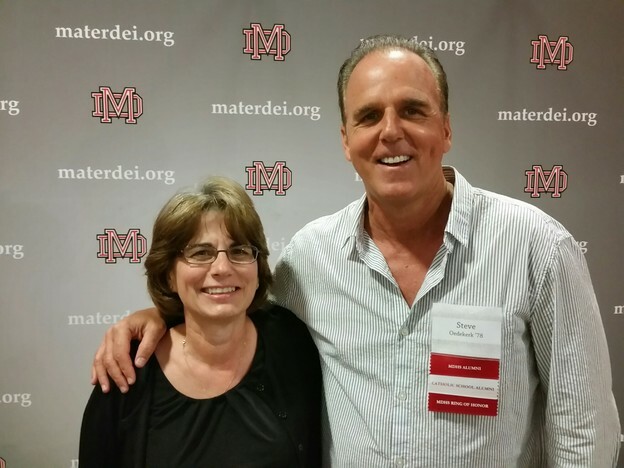 A big congrats to our own Steve Oedekerk '78 who was inducted in the Mater Dei Ring of Honor last year!! Steve is pictured with classmate Debra Bischak Navarro.